Omg hey beauties, I feel like I just disappeared off the face of the earth for this past month. Last month around the beginning of November I came up with a bad cold which was later diagnosed as pneumonia. I was literally in bed for the whole month and was not able to do anything but literally cough myself to death! Thanksgiving was not so fun for me, I was sick the whole weekend and couldn’t even go black Friday shopping!! This has to be my worst year ever! To make things worst my doctor diagnosed me with bronchitis, which just made everything go downhill, I missed most of my class finals and had to make them up while everyone else was enjoying their holiday break! But today I am feeling so much better my cough has cleared up a little and I am getting my energy back slowly, I just couldn’t wait to blog about my experience because I know there are so many people feeling under the weather especially around this time this time of the year. Unfortunately for me, it was worse than just a normal cold. Let me tell you guys it took a lot of home remedies and a lot of fluids to get rid of this pneumonia and bronchitis. Quick tip: If you guys ever catch pneumonia/bronchitis especially during this cold winter, Lemons and limes will be your best friend! Warm ginger honey tea will save your life, and of course, drinking lots of water to keep you hydrated. 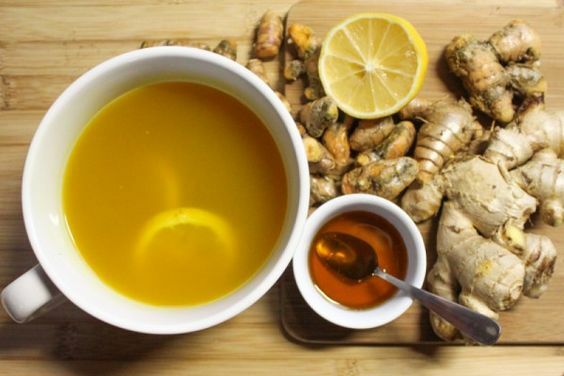 The lemon or lime whichever you want helps cut through congestion and the honey soothes the throat, and of course, ginger just make everything better! The whole month I was in bed sick, I had serval breakouts. My cheeks had several red pimples, and I was breaking out around my forehead. The bags underneath my eyes came back and I was devastated, I had black circles around my eyes all over again. Of course, at this point, I had no energy what so ever to even attempt to fix these ongoing breakouts, it was actually quite irritating because I was sick, I had the worst cough ever, my face was breaking out, life was just going downhill. What saved my life was this face cleanser my mom got me from our local Walgreens, Cetaphil Gentle Face Cleanser, I’m sure most of you have heard about it before. It is a life saver and I recommend anyone who is dealing with breakouts to try it. I was drinking a significant amount of water to keep me hydrated and that really helped my skin out. AND MOST IMPORTANTLY CHANGING MY PILLOW CASE ONCE A WEEK HAD A SIGNIFICANT IMPACT! When we lay our head down we shed dead skin cells, and that causes bacteria over time, oils from our face creates build-up, so changing my pillowcase weekly really helped me out, trust me it could’ve been much worse! Overall this was just a horrible month for me, but I am so grateful to be alive and doing better! I’ve been missing out on so much, and clearly, my face needs a miracle! Let me know if any of you have had a bad cold or pneumonia before and what was your experiences!